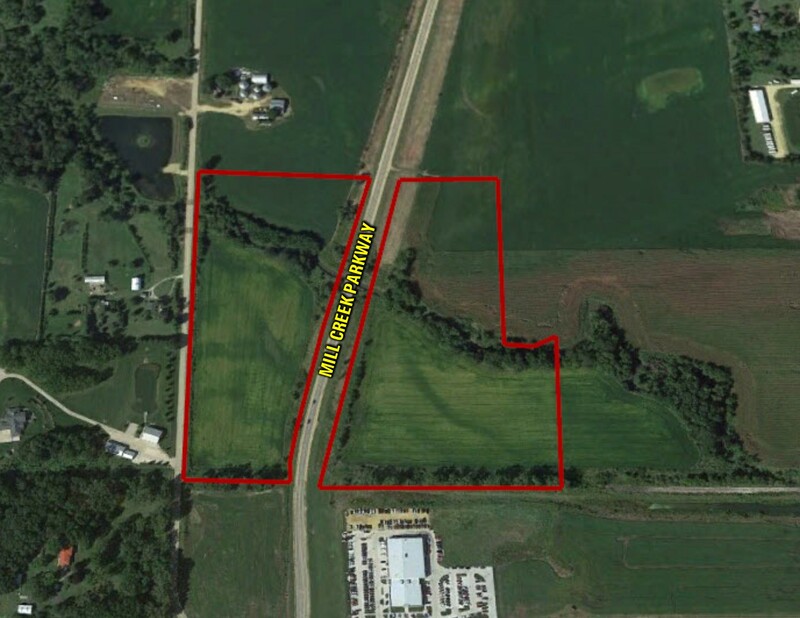 Offering 28 acres m/l located along the Mill Creek Parkway on the West side of Clinton Iowa. The farm includes 23.99 cropland acres carrying a CSR2 of 76.8 as well as approximately 4.73 acres of timber and a small creek. 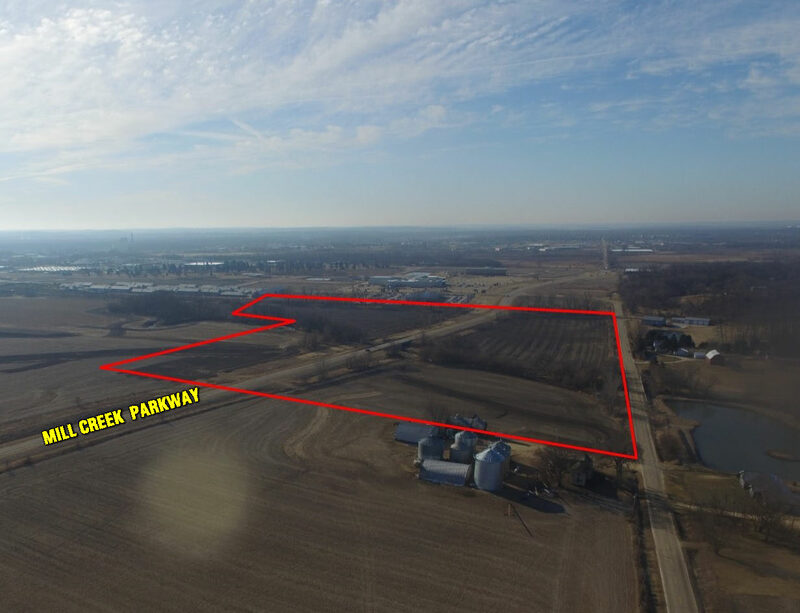 This farm has future development possibilities, located next to Clinton Auto Group. Part of the Southwest 1/4 of the Northwest 1/4 in Section 15, Township 81 North, Range 6 East. Exact legal to come from abstract. At the intersection of Highway 30 and Mill Creek Parkway in Clinton Iowa. Turn north and head approximately half a mile. 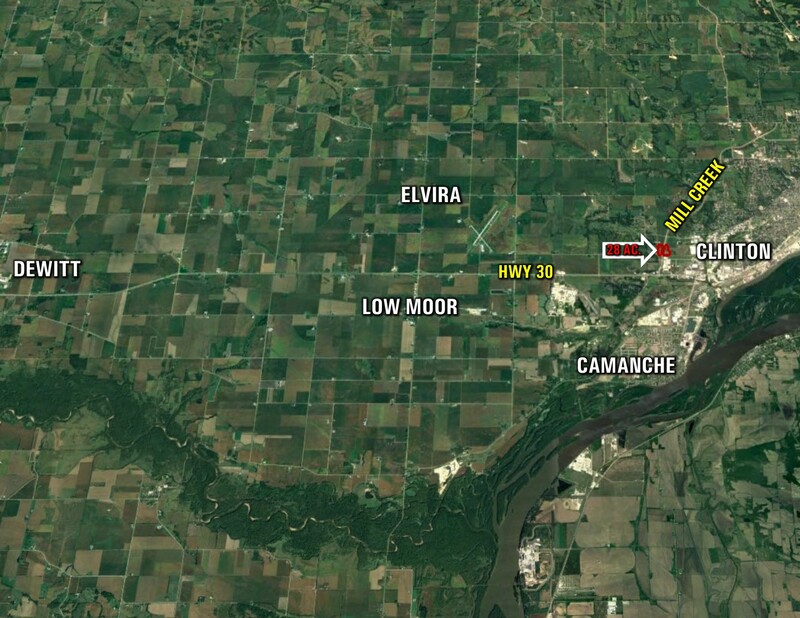 The farm is located on both the east and west sides of the road.